The arts are a valued component of a student’s life at ISPP. In addition to music, visual arts drama within the curriculum, the arts play an important role in developing students who are balanced and knowledgeable through activities outside of the classroom. Each year, the school holds a major and a smaller production, with the Elementary and Secondary schools taking turns each year. These productions are enormously popular within the community and sell out each year. 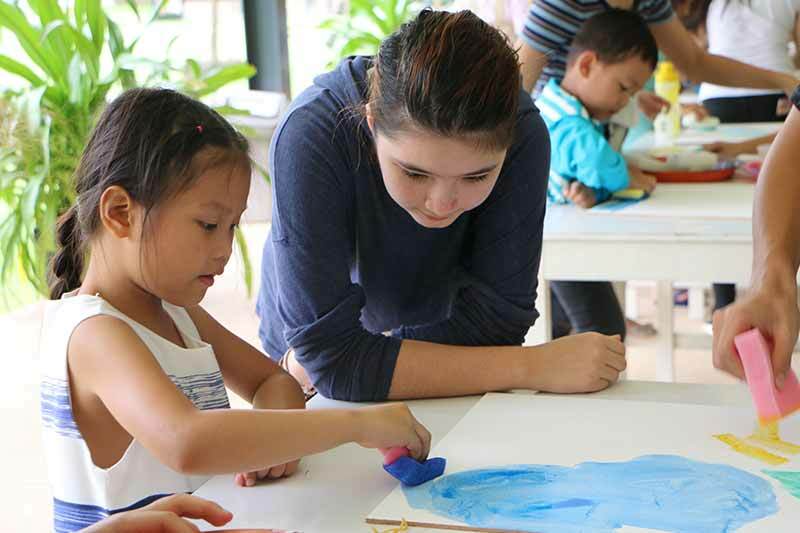 Other arts activities can be pursued through the After School Programme and various local initiatives, including creative competitions such as the Phnom Penh Youth Film Festival and our popular Battle of the Bands event each year. Secondary students participate in the annual ISTA theatre festival in the region, and also have an opportunity to join the Arts Exchange event that is part of the Mekong River International Schools Association annual calendar. The school has excellent facilities to support its arts programme, including our 430-seat Black Box theatre with its state of the art sound and lighting system. In the same facility, we have drama rehearsal spaces and extensive music resources, including classrooms, soundproofed rehearsal rooms and a large range of instruments. The jewel in the crown is our grand piano. Both Elementary and Secondary schools have their own art galleries and these hold regular exhibitions to showcase the current projects and cumulative work of students across all grade levels. Click on a topic below to learn more about our activites.